S11 (return losses) is another expression for SWR (standing waves ratio) and IMO a better one. It is the ratio of port #1 to port #1, in other words, what comes out of port #1 relative to what you injected in port #1. When you send power to an antenna, some of it is reflected back. Let’s say a 100mW Vtx connected to a 1.9:1 SWR antenna: 100mW goes in, 10mW is reflected back, ten times less power is reflected or -10dB. We then express the antenna as having a S11 of -10dB. 90mW is left to be radiated at whatever the antenna radiation efficiency is. So an antenna with very good SWR may actually still radiate less because it has less radiation efficiency. An extreme case would be a dummy load having perfect S11/SWR but radiate very little. -Antenna A: -30dB S11 (1.05:1 SWR) and 75% radiation efficiency. -Antenna B: -9,5dB S11 (2:1 SWR) and 95% radiation efficiency. Both antenna are on a 100mW Vtx. Antenna A let in 99,9mW and radiate away 74,9mW (0,75*99.9mW). Antenna B let in 88.8mW and radiate away 84.4mW (0,95*8,1mW). Antenna B outputs more power and potentially has more range than antenna A, even with a 2:1 SWR. Tuning A is a perfect tune, so we are going to use it as as baseline for comparing the others two. Hooked to a 100mW vtx we can expect at least 1000M range. Tuning B loose around 12mW from the 2:1 SWR, the range will be about 938M. Tuning C loses 25mW from the 3:1 SWR, the range will be about 862M. Many claims a 2:1 SWR is down right horrible, yet the effective range loss compared to a perfect tune is a mere 6%. In order to suffer a noticeable range loss (like 30%), the SWR will need to be above 5,8:1 (-3dB S11) or 50% of the power reflected. On paper, the relation between SWR/S11 and range is really not as strong as many believe it is. This belief is likely carried from the fact that SWR/S11 is the easiest and most often only parameter measured. 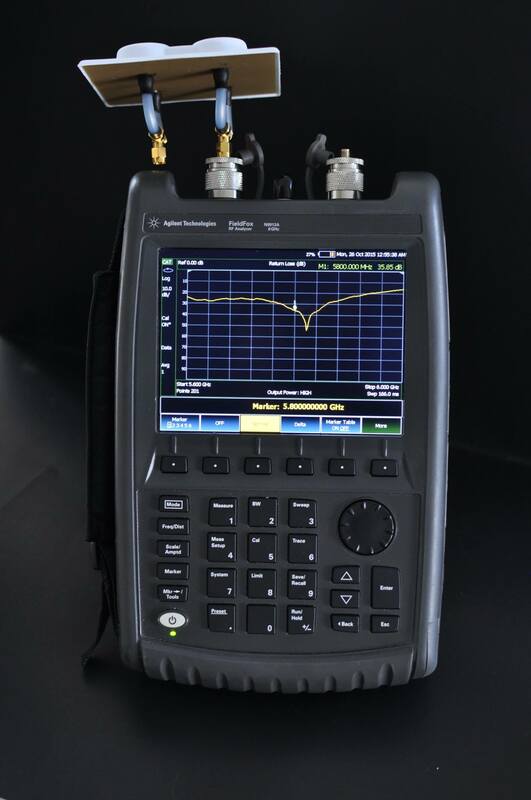 The truth is that other important parameters like gain pattern, axial ratio and radiation efficiency does not always line up with best SWR/S11. Antenna designers try to make all parameters line up at the frequency of interest, but sometimes compromise has to be made. In conclusion, low SWR/S11 does not always mean good antenna and high SWR/S11 does not always mean bad antenna. Also, using that channel that fall right on that perfect SWR of 1.001:1 is not going to make any difference in your video link quality or range.